How to make money in stock market without selling your shares? Using the demat value of the shares as margin for trading is the simplest method of monetizing your shares without actually selling them. This is the simplest method of monetizing your shares without actually selling them. Typically, your broker will allow you to take a margin trading position in the equity or even the F&O segment based on the value of your demat holdings. This is a trading position and hence must be played with strict stop losses and profit targets only. Normally the broker will consider a haircut before giving the margin and the haircut is normally around 50%. That means if the market value of your share holding in the demat account is Rs5,00,000 then you can get a margin up to Rs2,50,000. There is an important aspect here. Ensure that you measure the risk you take on your trading and that you are able to pay up the losses in cash. 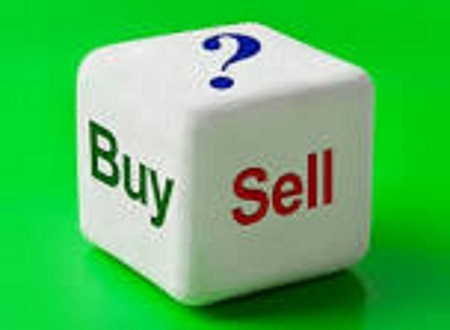 Else, the broker will sell your share holdings to recover the losses in trading. This is something you need to be extremely cautious about. If you don’t want to do trading, you can also get a loan against shares (LAS). Normally, your broker has a tie-up with banks or NBFCs who can give you the loan. The normal haircut is 50% of the market value of the shares. The haircut may be higher in periods of volatility in the markets. When you take LAS, you will have to hypothecate the shares to your lender. There are two risks you need to be conscious of. Firstly, if you fail to repay the loan on time then the financer is at liberty to sell the shares and recover the dues. Therefore, you need to pay the loan on time to hold on to your shares. Alternatively, if the price of the share crashes sharply, then the financer will call for additional margin. If you are not able to put the additional margin then the financer could sell your shares to cover their risk. This is a fairly low risk method of making money out of your shareholdings. The way it works is you sell equivalent futures of the same stock against your cash holding. For example, if you are holding 2,000 shares of Reliance Industries, then you need to sell equivalent futures. There is a catch here. You can create this arbitrage in multiples of the lot size. For example, one lot of RIL is 1,000 shares so only if you hold in multiples of 1,000 shares can you do a cash-futures arbitrage. Typically, the cash-futures spread vary between 0.50% and 0.80% per month. Once the arbitrage is created, the short futures are rolled over each month and the positive roll spread becomes your earning, even as you continue to hold the shares. This is a slightly more aggressive strategy, where you sell slightly out of the money call options on the stock which you are holding. This strategy is adopted when you do not foresee a very sharp rise in the price of the stock during the interim period. Hence you will use the call premium earned to reduce the cost of holding of your stock. Remember, this is a risky strategy since there is no protection on the downside. On the upside, normally traders put a stop loss on the short call option in case they do not intend to sell the shares. This strategy is normally followed by HNIs. While the rates of return could vary depending on volatility and market conditions, you need to be wary of the risk in this strategy. This is a new opportunity that has cropped up for investors. When you are holding on to shares and do not want to sell them, you can look at lending these shares for a fee. The stock lending happens through the exchange mechanism and hence it is entirely risk-free. Also, since the shares are not sold, there are no capital gains implications in this case. Why would investors borrow shares? Typically, traders could borrow shares for two reasons. They may want to short shares due to a bearish view but they may not be holding those shares. Since rolling settlements only permit intraday short selling, they can borrow shares and sell them. Secondly, there are others who could have sold shares without delivery and could be looking to avoid auction losses. They are also candidates for stock lending. The crux of the matter is that there are a variety of ways to monetize your equity shares without selling them. You can take you pick based on what suits you best!